Kacey uses her 12 years of property management experience to knowledgably supervise multiple site locations as well as ensure compliance with all affordable housing and financing restrictions. 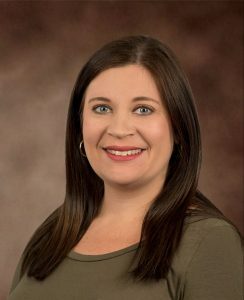 She began her career in property management as a Leasing Agent at a LIHTC community and has since held the positions of Assistant Manager, Community Manager, and Administrative Assistant for a national property management company. She joined Maestri-Murrell in 2009 as a Community Manager for a LIHTC property. Kacey transferred to the Maestri-Murrell corporate team in 2011 as an Accountant and was quickly promoted to Compliance Coordinator. Since then, she has also taken on the role of Regional Property Supervisor. She is responsible for ensuring that all company policies and procedures are followed on multiple sites. She also hires and trains site staff to professionally operate the communities within budget constraints. Her responsibilities also include completing monthly, quarterly, and annual reports for owners, mortgage companies and the applicable agencies. In addition, Kacey is responsible for ensuring that all applicable compliance requirements are met and maintained. She also completes monthly, quarterly, and annual compliance certifications and reports for agencies such as HUD, Louisiana Housing Finance Agency (LHFA), and the local public housing authorities. Kacey also serves as support for other Property Supervisors and Site Team Members. She coordinates our company training schedule and ensures that all employees are up-to date on property management education and compliance with various housing programs.